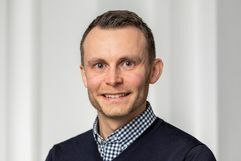 Florian Tschorsch is assistant professor at the Technical University of Berlin and the Einstein Center Digital Future (ECDF), where he heads the Distributed Security Infrastructures group since April 2017. His research interests comprise, among others, anonymous Internet communication and blockchain technologies. Here, the main focus is on the interplay of overlay networks and the protocol stack below. In particular, security, privacy, and performance aspects of a distributed architecture take a key role in his work. Florian studied computer science with computer networks as major and cultural studies as minor subject at the Heinrich Heine University Düsseldorf. During his master studies, he was awarded a scholarship by the state of North Rhine-Westphalia to encourage and support young scientists. Subsequently, he joined Björn Scheuermann's research group and worked at the universities of Düsseldorf, Würzburg, Bonn, and Berlin as research associate. In June 2016, he received his Ph.D. in computer science by the Humboldt University of Berlin. Florian's work has been recognized multiple times. The paper "The Sniper Attack: Anonymously Deanonymizing and Disabling the Tor Network" has been awarded by the U.S. Naval Research Laboratories with the Alan Berman Research Publication Award. His dissertation has been awarded by the GDD (German society for data privacy and data protection) and the GI (German computer science society) committee on communication and distributed systems. Florian enjoys interdisciplinary collaborations and exchanges with scholars from related areas, e.g., law, medicine, politics, and humanities. The Distributed Security Infrastructures (DSI) group engages in the analysis and design of system architectures and networking protocols. This process frequently raises the question on how to reconcile the heterogeneous, sometimes contradictory requirements that different system components demand. In particular, the interplay of security, privacy, and performance of distributed architectures yields many challenges. The group's teaching and research activities are located in between these areas. Current topics include anonymous communication systems, privacy-aware data collection, and distributed ledger technology.